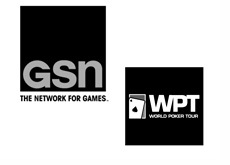 After years of being broadcast on the Travel Network, the World Poker Tour will move over to the GSN (Game Show Network), where it will be shown every Monday at 9 pm after "High Stakes Poker". The move is a good fit for both companies as GSN will look to leverage the popularity of "High Stakes Poker", and the World Poker Tour will look to find a slightly more accommodating home. The announcers will remain the same (Mike Sexton and Vince Van Patten) but there will be a new hostess (the ultra-hot Layla Kayleigh). This line-up of "High Stakes Poker" and the World Poker Tour will give poker fans a full three hours of entertainment on Monday nights, starting on March 24th.